English Bulldog information hosted by dog vitamin supplement producer BuffK-9 Supplements. A brief summary of this article states that English bulldogs can sometimes face health ailments. It may be a good idea to supplement with a safe, natural vitamin supplement like BuffK-9 True Champion Dog supplement to protect your dog and boost immune system plus general health. “The Bulldog is a breed with characteristically wide head and shoulders along with a pronounced mandibular prognathism. There are generally thick folds of skin on a Bulldog’s brow; round, black, wide-set eyes; a short muzzle with characteristic folds called “rope” above the nose; hanging skin under the neck; drooping lips and pointed teeth and occasionally, an underbite. Like all dogs, Bulldogs require daily exercise. If not properly exercised it is possible for a Bulldog to become overweight, which could lead to heart and lung problems, as well as joint issues. They may also suffer from respiratory problems. Other problems can include cherry eye, a protrusion of the inner eyelid (which can be corrected by a veterinarian), allergies, and hip issues in older Bulldogs”( “Bulldog”, 2012). “Statistics from the Orthopedic Foundation for Animals indicate that of the 467 Bulldogs tested between 1979 and 2009 (36 years), 73.9% were affected by hip dysplasia, the highest amongst all breeds. ( “ Hip Dysplasia Statistics: Hip Dysplasia by breed”, 2010). Sometimes special diets may be required to keep your bulldog in his or her top condition. These diets can range anywhere from special dog foods, natural dog foods, organic, grain-free or even RAW dog food. You just need to consult with your veterinarian to determine what may be needed to reach the health goals desired. If you obtain your dog from a breeder make sure to check their genetic history of hip and respiratory issues. If rescuing your bulldog, you may not have access to health records or genetic history. 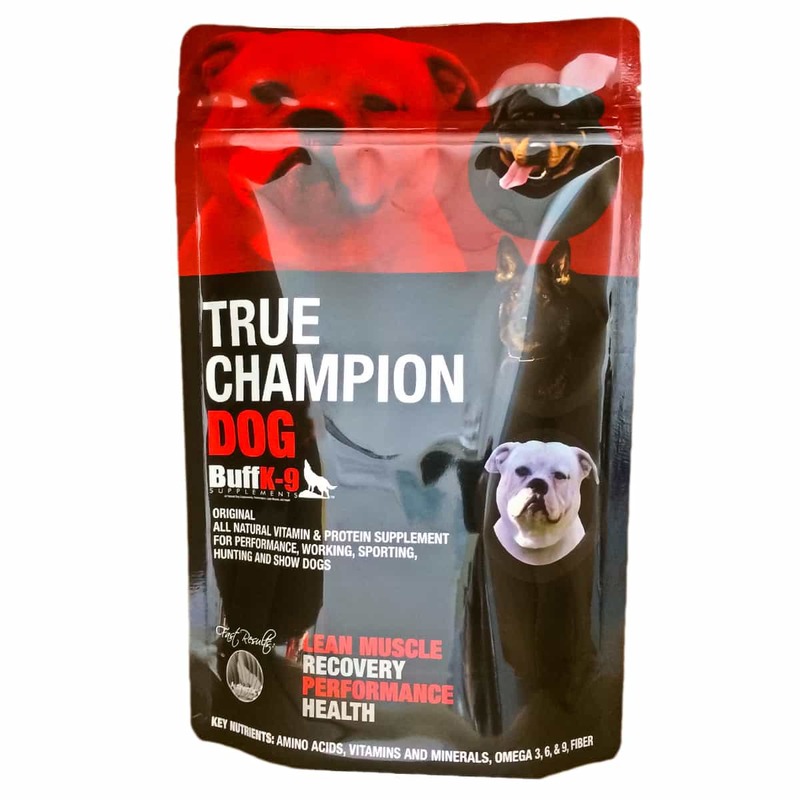 So it may be a wise idea to have a thorough check up from a veterinarian and also incorporate a high quality dog vitamin supplement such as True Champion Dog by BuffK-9 Supplements to maintain and boost health. “Hip Dysplasia Statistics: Hip Dysplasia by Breed”. Orthopedic Foundation for Animals. Retrieved 2010-02-10.